Want to unlock your Pixel 3 and Pixel 3 XL automatically using smart lock feature? In Google Pixel 3 smart lock setting, you can see On-hand detection, trusted places, trusted devices, trusted face (face unlock) and voice match options. 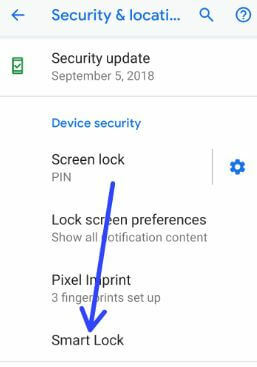 Let see how to enable and use smart lock on Pixel 3 XL and Pixel 3 Pie. What is smart lock on android devices? This smart lock feature is useful to automatically unlock your device when your phone nearby you or your device on pocket or near your home. You can easily unlock your Pixel 3 using this smart lock features. Read below given complete guide about how to use smart lock on Pixel 3 and Pixel 3 XL. 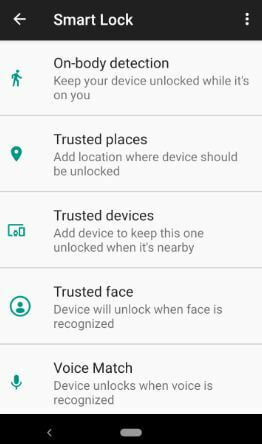 You can find Google Pixel 3 smart lock option under security & location settings. Check out below given settings. You can see below given Google Pixel 3 and Pixel 3 XL smart lock options. Just enable this feature to quickly unlock your Pixel 3 while it’s on you. When enable on body detection on Pixel 3, automatically unlock your phone when you’re holding or carrying your phone. Your device will lock when it detects that it’s been set down. Here you can add address or places location when your Pixel 3 should be unlocked automatically. Make sure turn on GPS to access trusted places. 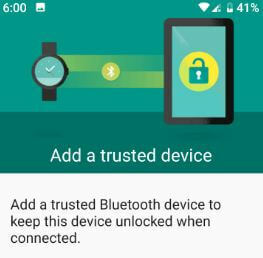 Add a list of devices or Bluetooth devices to keep your phone unlocked when connected such as Bluetooth watch, car’s Bluetooth etc. When add device nearby you, automatically unlock your Pixel 3 and Pixel 3 XL. To use face unlock or trusted face, set up facial recognition on Pixel 3 XL and Pixel 3. Google Pixel 3 face unlock or trusted face feature is useful to unlock your phone when face is recognized. After set up face unlock on Pixel 3, just looking at your device. 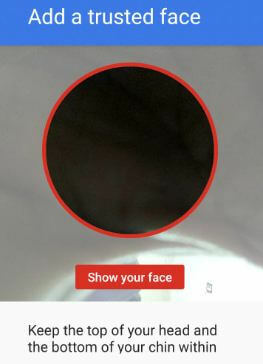 Also improve face matching if trusted face not working. Note: Face matching is less secure than a PIN or Password or Pattern lock. Someone who looks like you could unlock your phone. Automatically unlock Pixel 3 when voice is recognized. Just say OK Google to unlock your Pixel 3 even if your screen is off. And that’s all. Do you still have question about how to use smart lock on Pixel 3 and Pixel 3 XL Pie? If you have any question, tell us in below comment box. Stay and connect with us for latest updates.